This is the same reason why you see companies and brands address you by your first name in their promotional emails. Personalization can be a powerful tool when used right. Marketers have been using this strategy for decades to improve their marketing efforts. 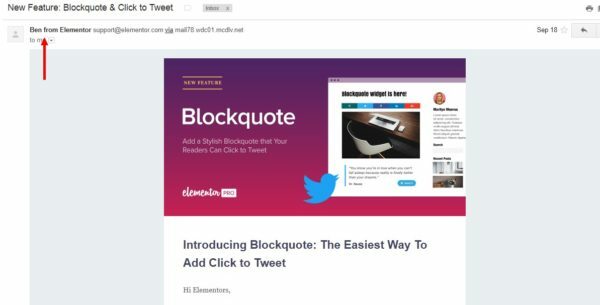 In fact, research shows that personalized email campaigns receive 29 percent higher email open rates and 41 percent higher click-through rates than ordinary emails. Needless to say, if you still haven’t implemented personalization in your marketing strategy, you’re missing out. Here’s why. How does personalization factor into marketing? Well, it’s much more than just using your customer’s first name in your emails. Personalized marketing is a strategy of its own that you can integrate into your different types of marketing mediums, such as email, social media, and blogs, to generate better results. Personalized marketing involves collecting data related to your customers and crafting marketing experiences that target specific types of customers through your content. Your personalized marketing strategy begins with user data. The success of your campaigns will depend on how well you collect and measure data. Whether it’s email list segments or surveys, you can collect different data to learn more about your users. It’s the only way to offer more personalized experiences through your marketing campaigns. Once you have enough data and you start to paint a picture of your typical customer, you can begin to properly personalize your marketing campaigns. The following examples will help convince you of the power of personalization. The main benefit of personalized marketing is the ability it gives you to reach specific audiences. By collecting user data from list segments, surveys, or studies you can create more effective email campaigns targeting audiences based on their interests or buying habits. For example, if your audience likes movies, you can use pop-culture references in your email campaigns, blog posts, or even in your email opt-in forms to offer a more personalized experience through content and increase conversions. 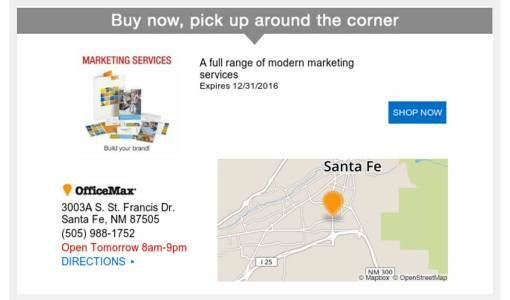 Many companies, like Office Max, use personalization to increase their customer engagement. OfficeMax is a company that uses this strategy in their email campaigns. The company uses their user location data to send highly personalized emails based on the user’s location. Personalization also helps you stand out from the crowd by creating better and unique content that leaves a special memory for your customers. 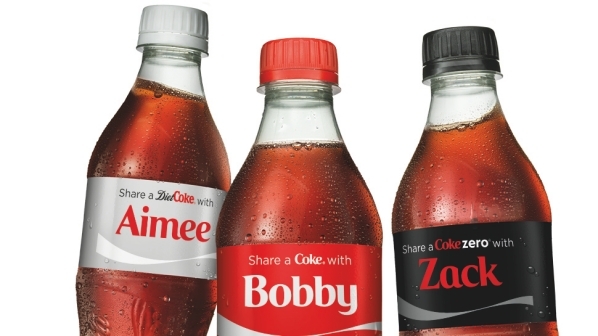 Coca-Cola used personalization to launch its Share A Coke campaign, which involved printing common names on Coke bottles to attract more millennials. The campaign helped the company grow sales for the first time in 10 years. Adding first names to the bottles of Coke helped the company increase their sales. Imagine finding a Coke bottle with your name on it. Wouldn’t you want to buy it and show it off to your friends? It’s amazing how a simple marketing strategy can bring so many sales for a business. Personalizing your marketing will also help build stronger and more personal relationships with your customers. You can show how much you care about every one of your customers by showing your gratitude, by sending an email wishing for their birthday, or sending a thank you email on the anniversary of joining your email list. See how to Create a Recurring Birthday Email with these tips from our Knowledge Base. Or, you can take things a bit further by improving your entire website and landing pages using personalization. This will not only help you generate more sales and conversions, but it will also make your website feel like home for your customers. 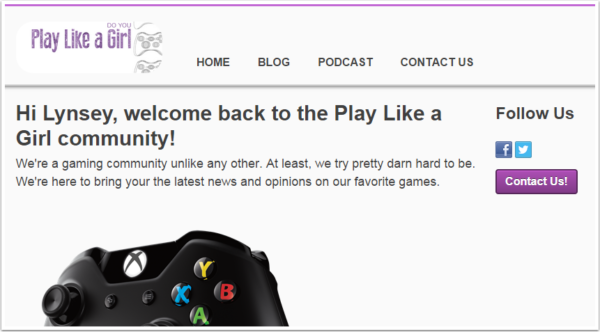 This gaming community uses personalization to make members feel at home. In order to offer a truly personal experience through your marketing, you also need to give an identity for your company as well. This includes showing the human side of your business. Include a working reply-to address in your automated emails to let your customers ask questions and leave feedback. Show who’s behind your company emails by including the faces and the names of your employees. Let your customers know that your company is run by humans, not robots. Adding a personal touch like a first name to your email can boost customer engagement. Many businesses now combine the company name with the person in charge of different departments to offer a more friendly experience to customers. Learning about your customer’s buying habits is not a bad thing. 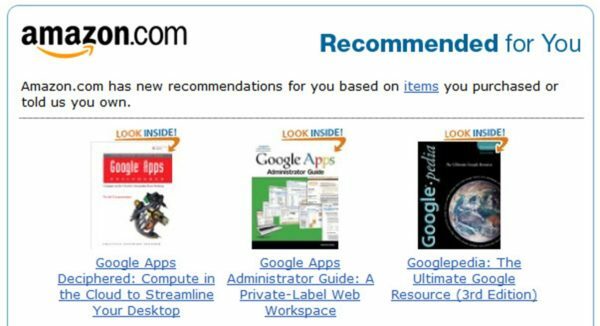 Retail sites such as Amazon and eBay use this perfectly to offer more relevant product recommendations for their customers. They also occasionally send emails with recommended product catalogs. Instead of asking from friends or searching the internet on which books you should read next, Amazon gives better suggestions based on your own behavior. Amazon is known for having high-quality product recommendations. Just remember not to take things too far like how Target exposed a teen girl’s pregnancy before her father knew about it. Personalized marketing is not just about connecting with your audience. It’s also a great way to help your customers and also grow your sales at the same time. A simple recommendation or a suggestion can help bring you better results. Truly helping your customers can come back around and help your bottom line. The vacation rental company, Twiddy used a similar tactic to boost their inventory by over 10 percent. The company paid close attention to trends and customer behavior to offer pricing recommendation to homeowners to help them figure out better pricing for rentals. This brought in increased revenue for both the company and homeowners as well as a 15 percent cost reduction for Twiddy. Most expert marketers are now going as far as to say that personalization is the future of marketing. Seeing how it improves the campaign results, we have to agree with them. Personalization is all about doing things to serve your customer first. So, you should try putting yourself in your customer’s shoes once in awhile to look at things in their perspective. This will immensely help you improve your marketing strategy. How are you using personalization in your marketing campaigns?